RAP Charity website is mearnt to be informative, raise awareness, and bring hope of a means to an end to an abused person or organisation seeking to redress abuse in their organisation/ church/ministry, above all, to bring healing to your abusive situation. It is helpful to us, to hear from you and how this site has helped you, or comments to help improve our service to you by using the comment section on the contact us page. Our main service is Counselling and Advice without walls for all people from age 14yrs & above, from all races & religion but mostly the black & ethnic minority group. Who are in confusion, in shame, and fear of more humiliation and whom to talk to, with an understanding of their cultural background. Thereby, they are left with emotional/mental scars, feeling unloved, powerless, angry, confused, guilty, frightened, worthless, dirty, isolated and finding it hard to trust other people. RAP was formed to break the chain of events in the life of victims of Sexual, emotional, mental, physical, and spiritual abuse. Recognise and acknowledge that you are going through abuse. Accept you are not to blame but the abuser who hurt you is wrong. 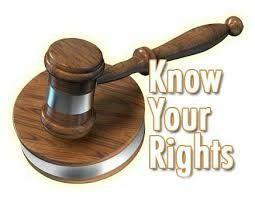 Know your rights to be safe to say no, not to deal with it yourself, not to keep abuse secret, to be helped to stop the abuse. Seek help and support from friends, family and organisations like us. Operates with child / vulnerable Adult protection policies in place, CRB checks. among individuals and corporations by monitoring, raising awareness of abuse, obtaining redress and relieving need among the victims of abuse, eliminating infringements of human rights and with advocacy to address abuse in particular - spiritual abuse within the Christian Community.